A lot of people have wrong perspective about Poodles, as a big of the society thinks that they are born to be “sissy” dogs. This is a huge misunderstanding that should be averted. The breed is actually known to be energetic and elegant, playing and living with ease. 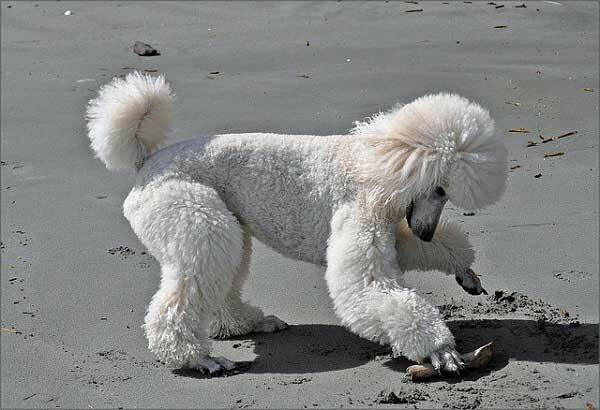 Poodles are amazing athletes, as they are able to do fascinating tricks. This type of dog is very smart and active, as they are the top choice of every competition that involves jumping over obstacles, because the muscularity of the breed is well developed. Watching them competing is an eye catching experience. Interesting fact is that this breed is the only one that has three different sizes, as they are all registered under separate groups- non- sporting or toy breeds. The sizes are the toy, if the dog is under ten inches, the miniature and the standard. Even though, the toy poodle is sometimes irascible, it is the perfect watchdog. The main reason why people choose the breed is because those dogs are unlikely to cause an allergic reaction. The breed is known to have variety of tempers, so it is hard to define which is the a “normal” one. The list below will show you some of the most common temperaments, behavior, personality and traits the dog carries. As every human being, those dogs are unique by themselves, as there is no other like it in regards to temperament. 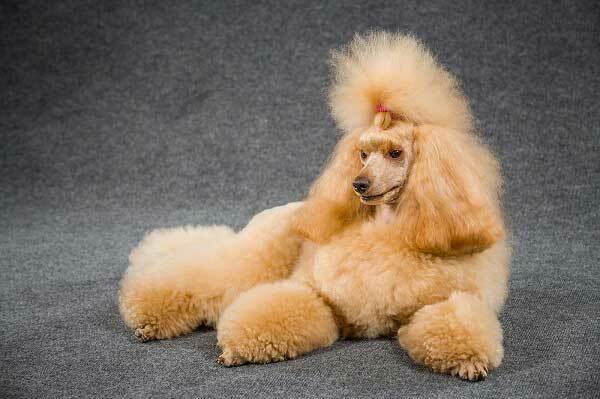 The Poodle is one of the oldest breeds known by the humans, as its traits went through a lot during the centuries. Every breed has a different behavior and attitude. The temperament of your dog well be built by two major factors- how you take of it, and where you took the puppy from. As it was mentioned previously, every dog has a unique character, but the following qualities are very common for most of the dogs of this breed. The breed is known for depending on its instincts. In the past, the dogs were created in order to hunt or be water dogs, which preserved till the present. This does not mean that the breed is “wild”, as you can control those sides of the temperament with proper training. The breed also has a realistic assessment of the surrounding world, as in that matter, it is very important to keep the dog’s mind engaged. They can get bored, if they are not focused on something, which is something you need to prevent. If you stimulate your dog enough, the boredom can be fixed easily. Poodles are very adventurous dogs, and are always ready to explore, as one trip can fix their mood. Another major factor is getting your dog toys, with which it will play and stay focused. If you have enough time, be sure to invest it in training and exercising, as well as agility games. This will develop its body and mind, which is a great plus. Poodles are also very social, so being around its favorite people will guarantee for success. Playing with other poodles is also a great alternative. Poodles are dependable on their owners. Spending quality time with them can make miracles. If you have a kid, the best choice is getting the Standard size, because the child needs to be very careful while handling or playing, as the dog is sensitive and can occur an injury. Because of its eager to please, the breed is always ready to learn and be trained. If you are patient enough, you will see the big progress in no time. Even though, Poodles feel great while surrounded by their family, it can be frightening for them to meet new people or go on crowded places. Another thing you should be aware of it to never leave your buddy alone at home for long, as they can get depressed and lonely. If any signs of Separation Anxiety show up, you need to go through special training, in order to fix the problem. One very common question that a lot of people ask is, which type of the breed does not bark that much- the Standard, Miniature or the Toy one. Many people believe that the noisiest is the Toy sized, as the small dogs are famous for being moody. The answer in fact is that each of them can start being annoying if you are not paying enough attention to them. The best way to keep your dog entertained while you are busy is with toys, but nothing can’t beat the time spent with the owner outside the house. It is very uncommon for the Poodles to get aggressive. However, bad circumstances can lead to it. That’s why showing how much you love it, spoil it with delightful food and food toys can be the answer of having a happy buddy at home. The breed is known for being sensitive, as their mood is affected by yours. Always try to be positive around it and tread it right. It is very important for you to have a home filled with love and peace, as the tension and aggression can cause serious issues and lead to unpleasant effects. You need to put an end to the family problems, if there are any, because your dog can get emotionally unstable in this bad environment. Harmonious home is the key of balanced relations with your Poodle. Even though it is good to spoil your dog, do not let this become your habit, as the dog will start to take advantage of the situation and make everything go into the wrong direction. You need to show the Poodle that you are the boss in the house. The breed can become the perfect watchdog. No matter that the Miniature and Toy Poodles have a lack of physical characteristics for real “watchdog”, they can still handle the situation perfectly fine with barking, which will attract your attention and notify you if something is happening. The breed is known for carrying the “stereotype” of being high strung. This is not a true statement, if you take a proper care of your dog and socialize it with other dogs and people. The only problem with the temperament can be the shyness, which can make them anxious while being out or left alone at home. Socializing is the key of preventing unwanted difficulties. All the sizes have the same appearance and coat color, as they are categorized as Poodles. They are all equally smart and active, as they can easy learn new things. The only distinguishing feature is the size, which will affect the level of maturity. The Standard type becomes adult after 18 months, as there are cases that the point of adulthood is reached a bit later. The only difference after maturity is that the dog gets more balanced, as it will control its emotions and curiosity. The Standard Poodle is definitely a bit different than its smaller brothers. The answer behind the difference is very simple, yet logical. The breed is known for centuries, as it went through the changes of time, being bred plenty of times. In order to create other sizes, the Standard type was bred down to the Toy and Miniature versions, which lead to some changes in the temperament. The breed was created to be a hunting and water dog. This is one of the major reasons why Poodles have such coat and tail. Jumping into the cold water without hesitation was their calling. They did not want to stay inside and do nothing. They were created to be active and live outside, exploring. The reason, people wanted to bred down the Poodle to smaller sizes was to make them their companion and a part of the family. The Toy and Mini created a new trend and after many more years, they became what we are familiar with now. Creating a new size, created new traits in the breed, as the new versions became more social and loving. They became the “lap dogs”, which were carried around and spoiled by their owners. This unlocked series of new traits that changed the history of the breed. 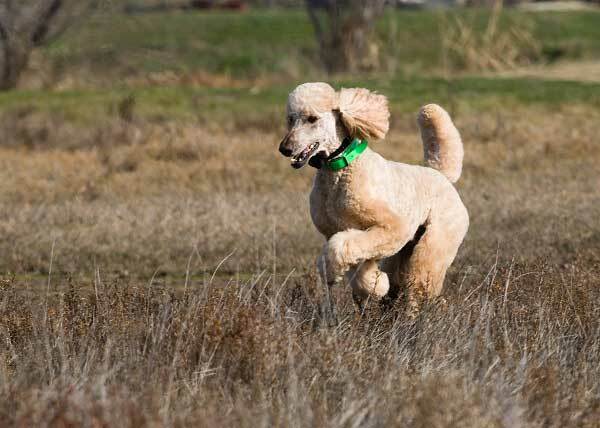 The small variations of the Poodle still have their instinct to chase, but it is definitely not that intensive, as after many years, the hunting traits started to disappear. The Standard Poodle in other hand still holds its hunting instincts, as they can sometimes be very intensive. This type of Poodle is the best choice if you have a child at home, as they are bigger, stout and stronger. If your kid is not careful enough, it can injure the smaller types, which is not an option, whereas the Standard size will resist the tough games and remain friendly and playful. The temperament of the Standard Poodle will fit best in a house full of kids. Other major difference is that you need to spend more time of training your dog, if it is a Standard type. One recommendation is to exercise their bodies in norms while trey is still young and their muscles and bones are developing. Once they reach the adulthood point, you need to exercise them at least 30 minutes a day and go on a walk twice. If you are not able to walk it so much, try to make the walk a bit longer. The Standard Poodle can be the perfect member of the family because it has a great personality. Spending time with it will be pleasant for both sides, as the dog can also be independent when hits the mature point. This type of Poodle is not a constant barker, but there will be times when it is noisy. Be sure to give him his own bed and a space in the house, as they like to spend time alone at times. You don’t have to worry about not paying attention to it while you are busy, as it is very patient. The heat cycle of the dog is another thing that should be well considered. When the Toy type Poodle enters heat, it can be hard for the owner to notice it. The same goes for the discharge, as if you have Mini Poodle, this will be frequent occurrence. The standard Poodle can make a mess if a discharge occurs. Some owners do not have time for spaying their dogs, that’s why they are choosing canine diapers in order to prevent spotting. The grooming process is the same for every size, as the only difference is in the coat size. Grooming is very important, if you want to remain the healthy and clean fur of your buddy. Standard Poodles have a mix of color coats or phantom colored one. The variety of colors are white, apricot, silver beige, black, silver, blue, red, brown, gray, cream and cafe au lait.